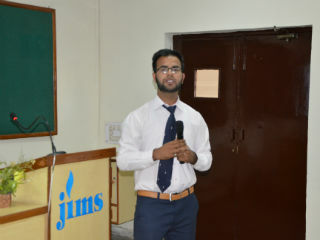 The JIMS Cultural Club organized an intra-college debate competition on the 25th March 2017 (Saturday) for PGDM General/ IB/ RM batches. 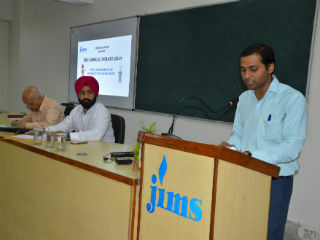 Students spoke for and against the topic "Civil Disobedience is the right way to Protest". 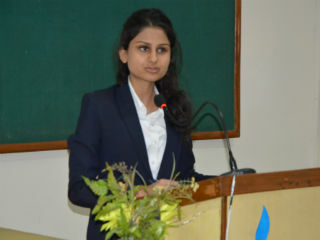 Dr. V.K. Mehta and Mr. N.P. 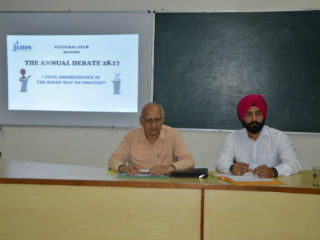 Singh presided over the debate as jury. They appreciated the participants' level of research on the topic and the Cultural Club's efforts in organizing the event. 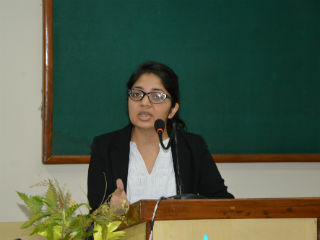 Deeksha Kaushik from PGDM IB spoke For the motion and was adjudged as the "Best Speaker" and Sneha from PGDM came second. Both received cash prizes. 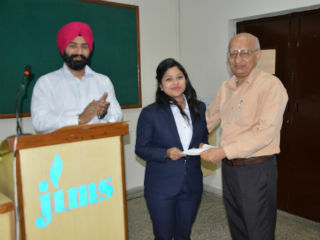 Deeksha and Neeraj from PGDM won prizes for "Best Question".